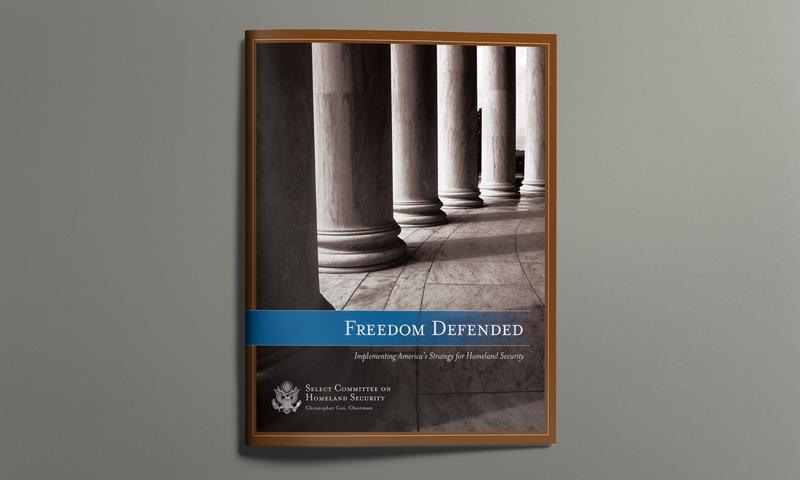 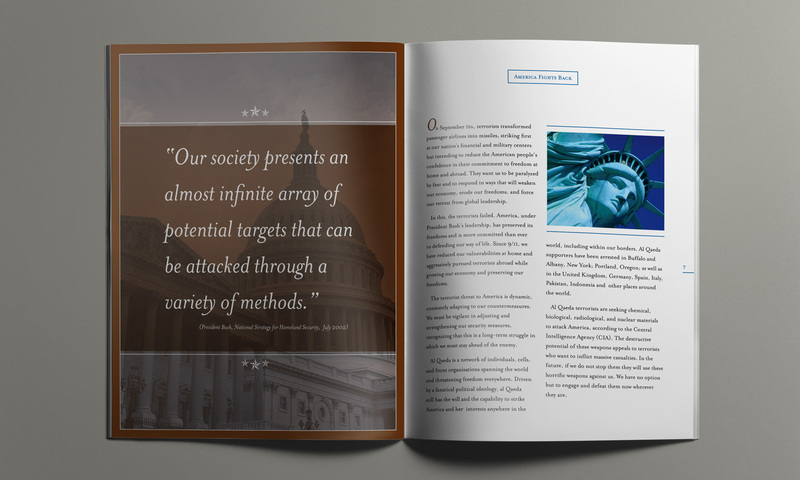 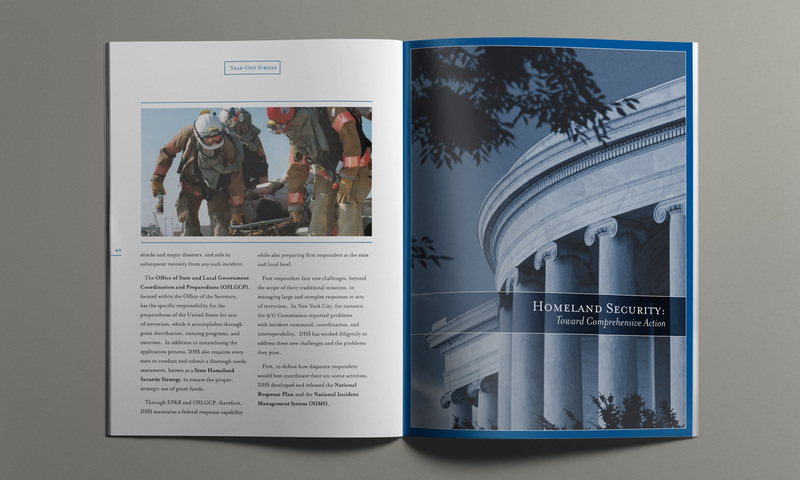 Christopher Cox, Chairman of the Select Committee on Homeland Security, hired me to complete a white paper detailing the state of homeland security in the five years after the September 11 attacks. 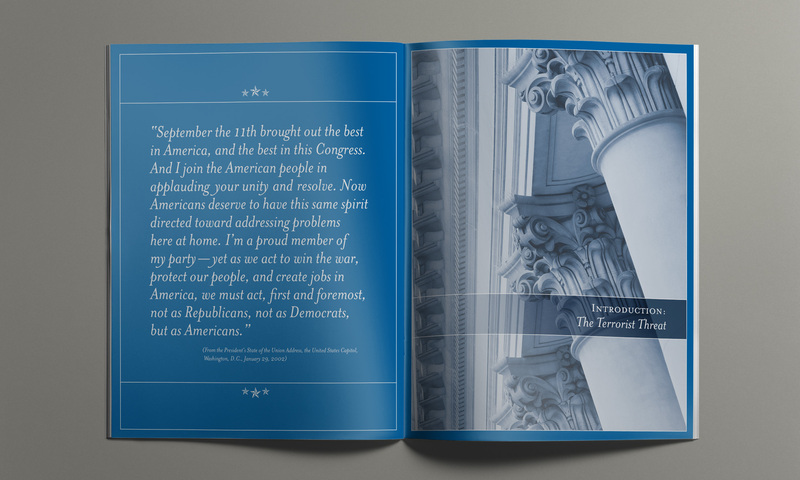 The 48-page document was used to inform congress and help President Bush prepare for his presidential debates. 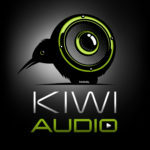 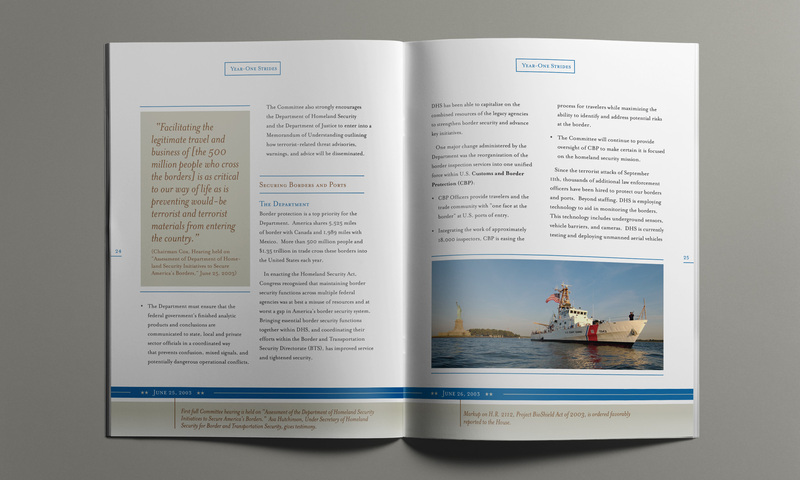 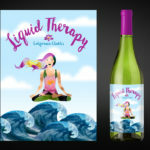 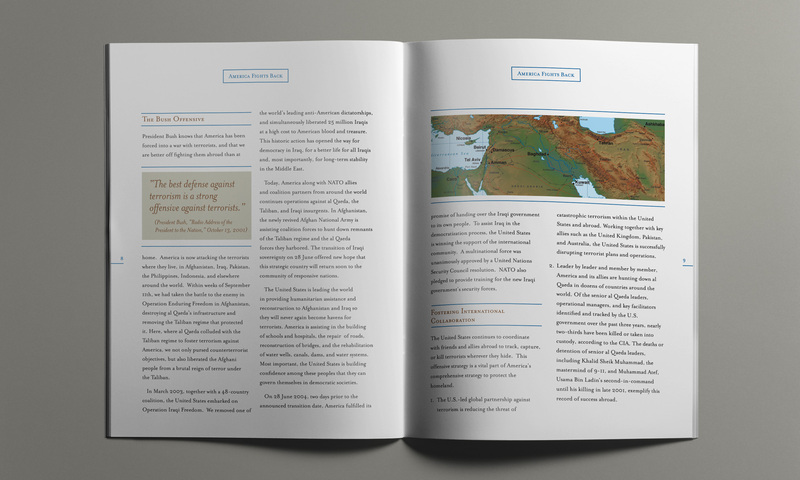 I was responsible for the design, layout and preparation of the print-ready production files.